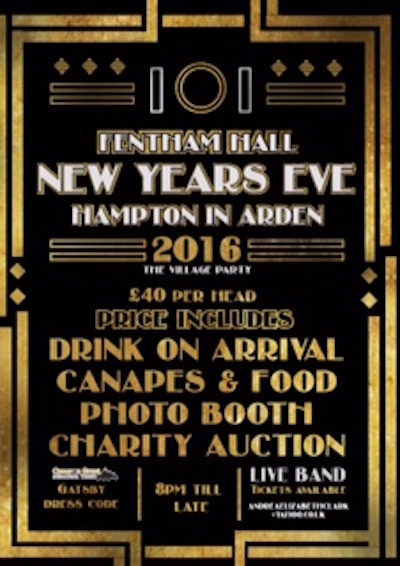 On New Year’s Eve the community of Hampton-in-Arden will come together for a village party. 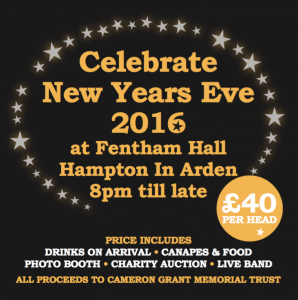 The Great Gatsby Ball will be held at Fentham Hall and all are very welcome to join us. The community spirit in Hampton is very strong and has been a great comfort and support to us since Cameron died; it is wonderful that this party will support the Cameron Grant Memorial Trust. There will be a live music from the wonderful Soul Matters, food and lots of fun. Soul Matters perform a large ranging repertoire from 60’s soul music to present day; something for everyone! They are very much looking forward to performing at the Ball and aim to get everyone up and dancing to make it a night to remember! 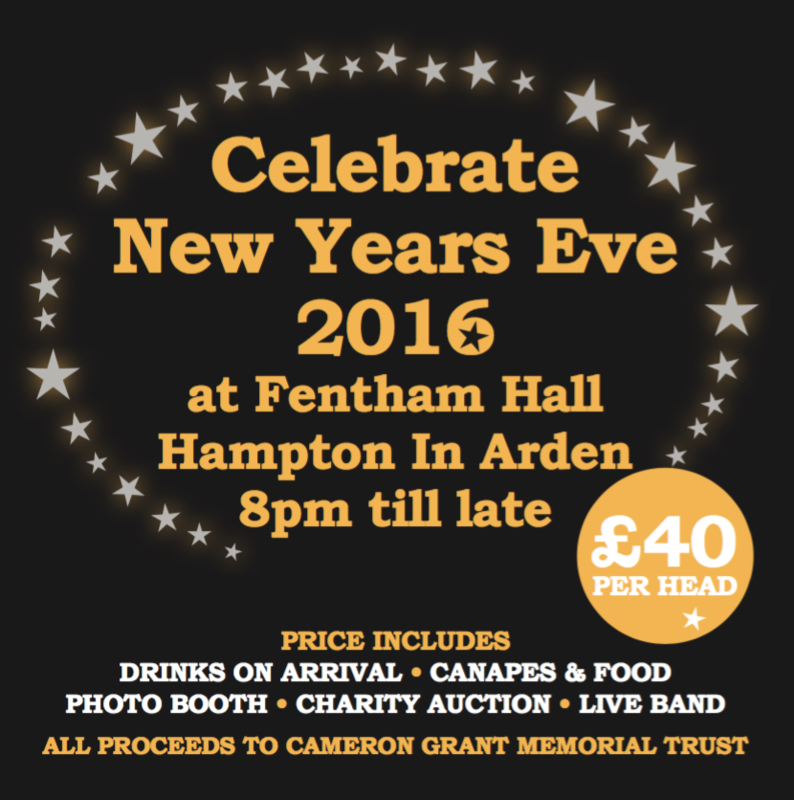 Please come and join us and help us celebrate life, community spirit and the New Year. Tickets are available in Hampton-in-Arden from The White Lion, The Village Stores and The Corner Shop and direct from Anj Clark or Carol Grant.